This is an original Sholley from the UK. The brown one shown is a petite model - in great condition, hardly used. Waterproof and fold up with 6 wheels (4 swivel) with brakes. I also have 6 larger models (see pics) including some in basic brown and navy, which I shipped in from the UK. I am charging $250 each for the new ones (less than it cost me with shipping and duty) as we are moving abroad and must sell them. 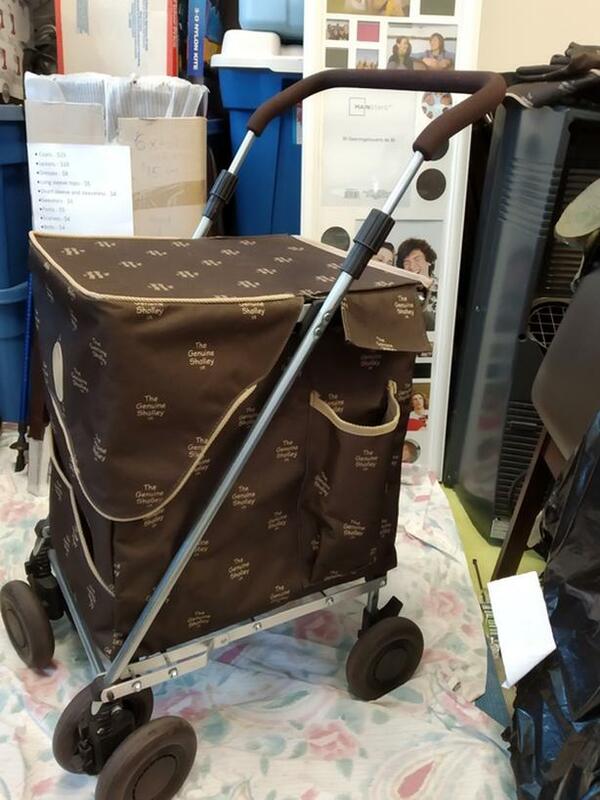 They are very durable, can go on the buses, and are easy to push without you having to take any of the weight of your shopping (like the 2 - wheeler models). Mine is 8 years old and going strong. These are far superior to anything you can buy in Canada. We are moving abroad at month end. Don't make me have to put these beauties into storage!